White Mineral Paper Bouquet Sleeves 4 x 18 x 17"
Mineral Paper flower wraps and bouquet sleeves have a market fresh appeal! 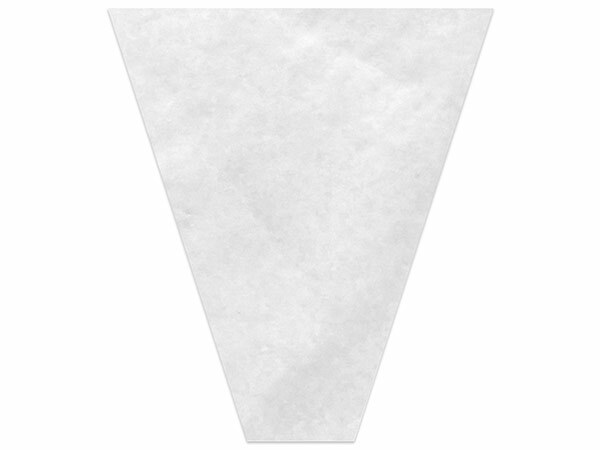 The white and brown kraft satin like paper offers moisture protection. Which means you can have the Kraft look you are looking for without the worry of moisture from your flowers bleeding through! These eco friendly floral supplies in bulk are made of approximately 50% Limestone and 50% Polythylene. Making them stronger and more flexible than the average bouquet sleeves and sheets. Be sure to check out the Printed Cellophane Bouquet Sleeves and the 2 sided printed flower wraps as well!